Hi and welcome aboard the Sunny Thoughts Australasian Close To My Heart Blog Hop. If you’ve arrived here from Wendy’s Expression of the Hearts then you’re in the right place. If you’re here because you were just browsing my page, then you’re in for a treat. Just follow the link at the bottom of this post to continue on to more SOTM (Stamp of the Month) inspiration. 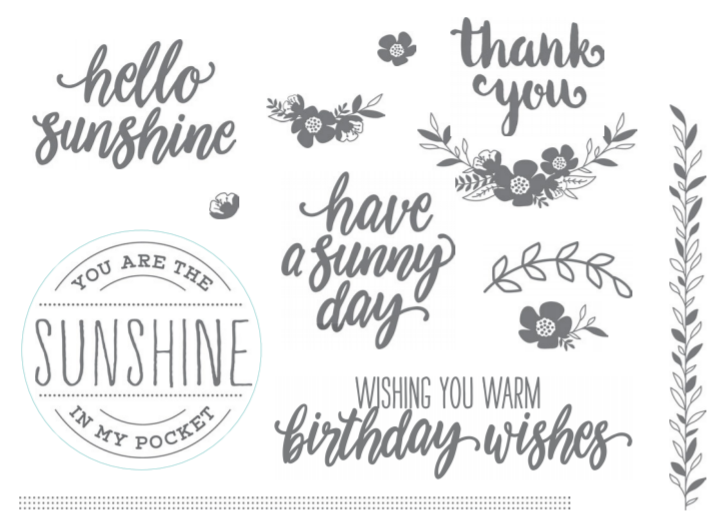 Today I’m showcasing CTMH’s February SOTM – Sunny Thoughts. 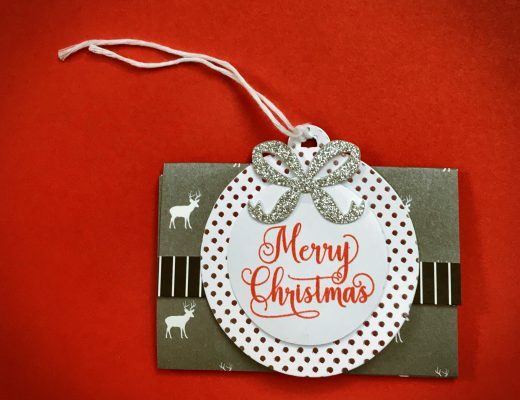 This is so such a super cute stamp – and is just $7.50 with a $75 purchase. What a bargain huh?! But only available in February (the stamp AND the deal!). So here’s the beautiful stamp set – it’s got a LOT on it, so is really very versatile. I’ve used this set to create a couple of quick cards. 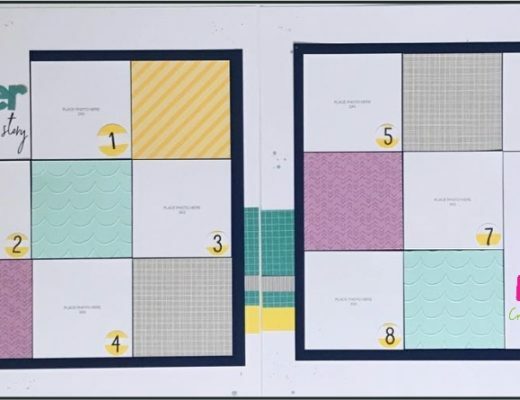 This first one as above uses the Make Waves paper suite. This is literally a 2 minute card, but I’ve found, often it’s the 2 minute cards that I like the most. I’ve used the beautiful shimmer trim to accent the Make Waves paper, and have then cut one of the flowers out of the background paper, and used it as an accent. Inside it I’ve placed one of the Make Waves flower sequins. Now I’m no girly girl, and even I am in LOVE with these little flowers! They are SOOOOOO cute! I dare you to try and resist them! But you know what, it’s the sentiment / title from the stamp set that makes this card a winner – it’s such a beautiful font, you really don’t need to do much else with it. Do you agree? Next up I have a card that I’ve ‘case’d’ from one of my lovely and very clever team mates, Linda Stark. She shared this with me, and I just knew I had to make one for myself. 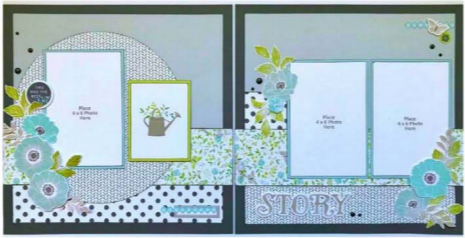 To create this, I cut the pocket shape on my Cricut, from the CTMH Artistry collection. The base of the card has been stamped using the stamp set Splash of Colour D1733 . This is one of those stamp sets that will really surprise you – it’s incredible how much use I get out of it – it’s really nice to ‘texturise’ your background, as it has here. The rest of the card has all been stamped with stamps from the Sunny Thoughts SOTM – isn’t it cool to see how many of the stamps are used on it? So what do you think? I hope these ideas will inspire your own ‘case’ing’ (copy and steal everything). Or perhaps spark a new idea. Share if it does! Now, it’s off for even more inspiration with Shaunna, at Passionate About Pages. Thanks Shaunna, so grateful for very clever team mates! 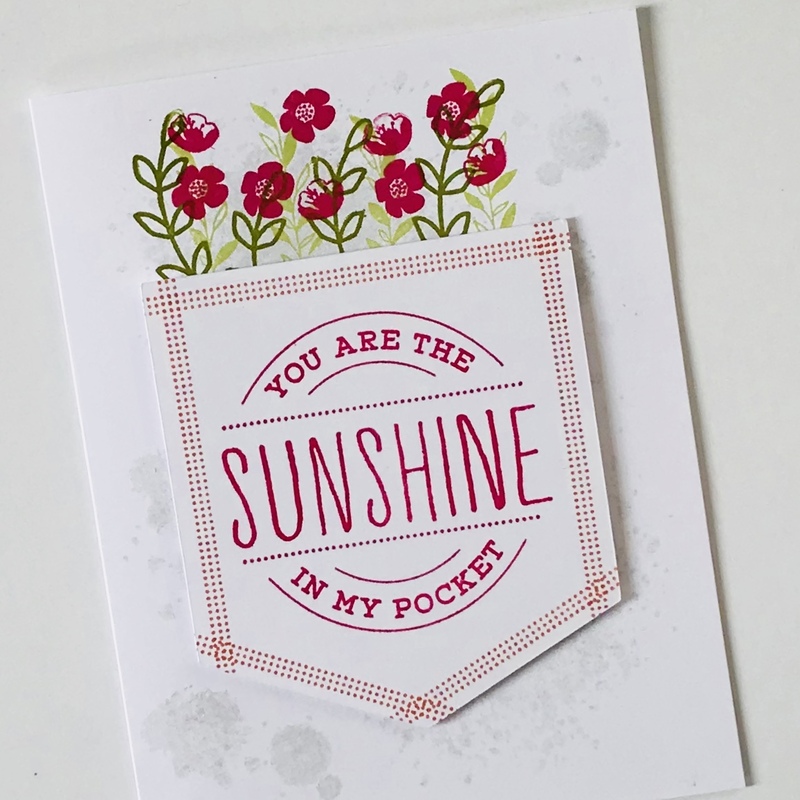 I love your card, very clever using that stamp to define the pocket and the flowers peeking out is gorgeous. Love both your cards, Megan! I love how you used the stamp set for the stitching on the pocket and the flowers coming out of the pocket! 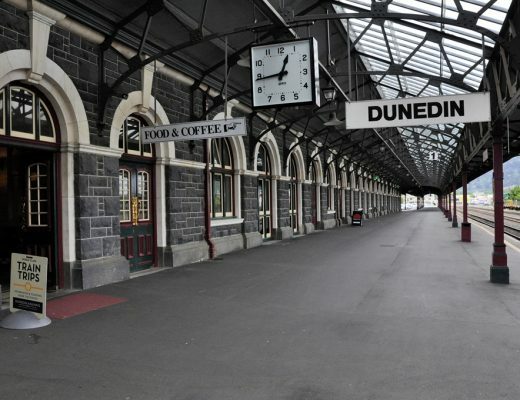 Thanks Doreen, full kudos to Linda on that one! LOL, thanks Colleen. I don’t think I’m creative at all – just good at copying, or modifying! Both cards are adorable. I’ll definitely be casing that pocket card too. So cute! The flowers peeking out of that pocket & the stitching – just lovely. I just love that pocket! Such a clever idea! Thanks Marsha – full kudos to my team mate Linda! I really love your pocket card with the flowers peeking out. 2 beautiful cards Megan! Aren’t those flowers just so delicate and pretty! Lovely cards! 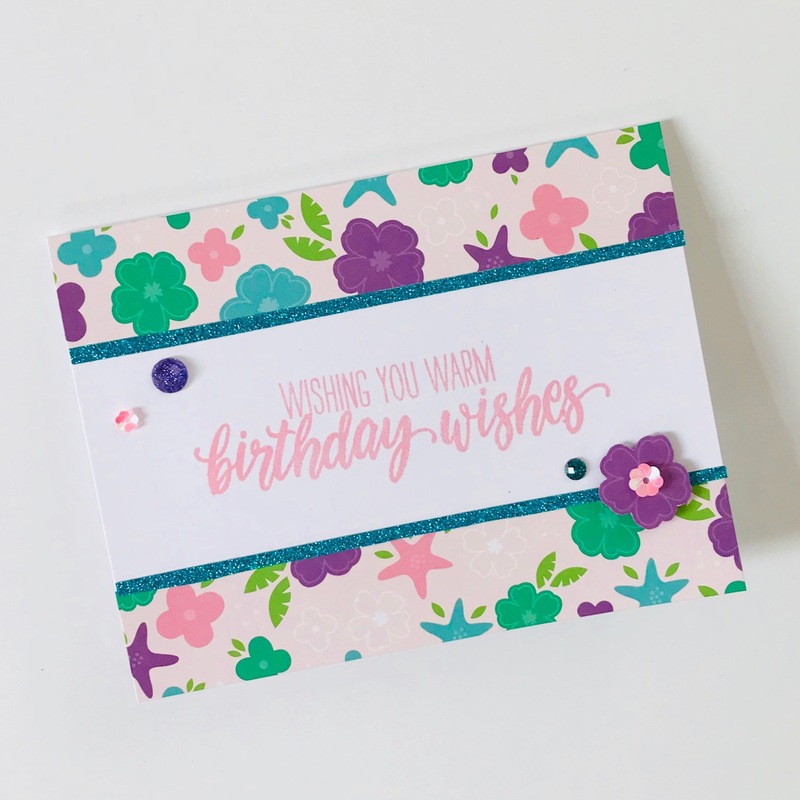 I wasn’t sure I would use that floral paper from Make Waves, but I really like it on your 2 minute card!